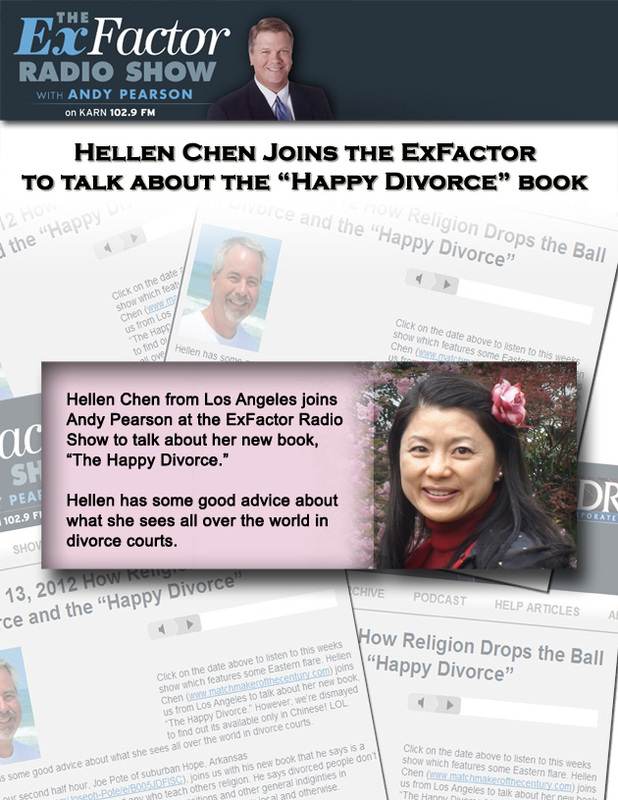 Bestselling author and relationship expert Hellen Chen interviewed on The ExFactor Radio KARN 102.9 FM radio show in Little Rock, Arkansas. The topic is about divorces and separation in a relationship. 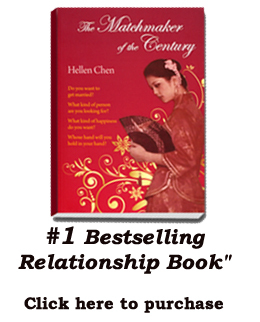 Hellen talks about the importance of working hard to build the foundation of a good marriage right from the beginning. Problems do not happen overnight but are accumulative. 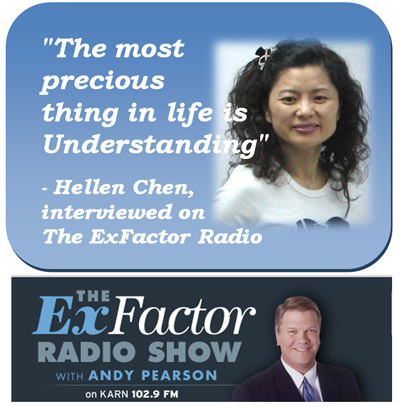 Hellen says, "The most precious thing in life is UNDERSTANDING." 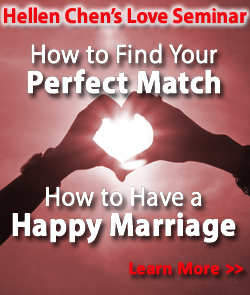 If you understand what is happening in your relationship and are willing to face the problems associated with it, no matter how bad it seems now, chances are you can turn sadness into happiness, turn disagreements into love again.